Recyclable Cardboard and Paperboard: What’s the Difference? If you are making a decision about what cartons to use in your packaging, you may be considering the difference between cardboard and paperboard when it comes to recycling. Many people assume that because both cardboard and paperboard are paper products that they are recycled the same way or together. In reality, cardboard and paperboard are two very different products that have different recycling rules. The difference in paperboard and cardboard cartons lies in how they are constructed. Paperboard is thicker than average paper, but it is still just one layer. Cardboard is three layers of heavy paper, two flat with a wavy one in the middle. Because they have different layers of paper and different weights, these two products cannot be recycled together or in the same way. Which One is More Recycle Friendly? While both paperboard and cardboard cartons are recyclable, it is often easier to recycle cardboard. Most communities have recycle programs for cardboard, glass, plastics, and other items. However, paper recycling and paperboard recycling centers can be difficult for your customers to find. 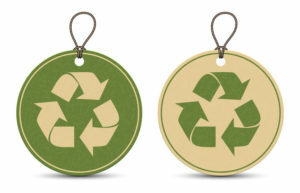 If you want your customers to be able to easily recycle, you might consider cardboard. There are some similarities in the rules with paperboard and cardboard. In both cases, the surface must be clean and dry to avoid contamination. In both cases, other items cannot be recycled with them; they must be recycled alone. Both types of cartons are as easily recycled or biodegradable as the other. If you are concerned about the environment, we can help you make earth conscious decisions about your cartons. All of our cartons can be recycled or repurposed. With our help, your own internal policies, and the help of your customers, we can limit the waste of manufacturing and distributing.